Beau Ideal is a 1931 American Pre-Code adventure film directed by Herbert Brenon and released by RKO Radio Pictures. The film was based on the adventure novel, Beau Ideal by P. C. Wren, the third novel in a series of five novels based around the same characters. Brenon had directed the first in the series, Beau Geste, which was a very successful silent film in 1926. The screenplay was adapted from Wren’s novel by Paul Schofield, who had also written the screenplay for the 1926 Beau Geste, with contributions from Elizabeth Meehan and Marie Halvey. 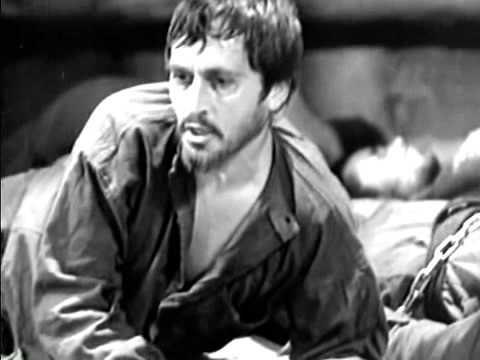 The film starred Ralph Forbes (reprising his role as John Geste from the 1926 film, Beau Geste), Loretta Young, and Irene Rich. The other lead, Lester Vail, was making his film debut, after he replaced Douglas Fairbanks, Jr., who had originally been selected for a principal role in the film. Exteriors were filmed on locations in Arizona and Mexico, while the interiors were filmed on the RKO lot in Hollywood, and production took approximately five weeks to film. Post production would take place in November and December 1930, before the film was released on January 16, 1931. Unfortunately, the film was neither a critical nor financial success, losing over $300,000 for RKO. In addition, reviews for the film were mixed, with most being not kind to the film. Some modern sources also consider the film to be one of the worst produced by RKO that year. Although the film was not a success, it did introduce two technological advancements to film: the concentrator microphone and the Dunning process. This work is in the public domain because it was published in the United States between 1923 and 1963 and although there may or may not have been a copyright notice, the copyright was not renewed. In 1958, the film entered the public domain in the USA due to the copyright claimant’s failure to renew the copyright registration in the 28th year after publication (the film is copyright 1930).